Finally a blonde conditioner without all the toxic purple & blue dyes! 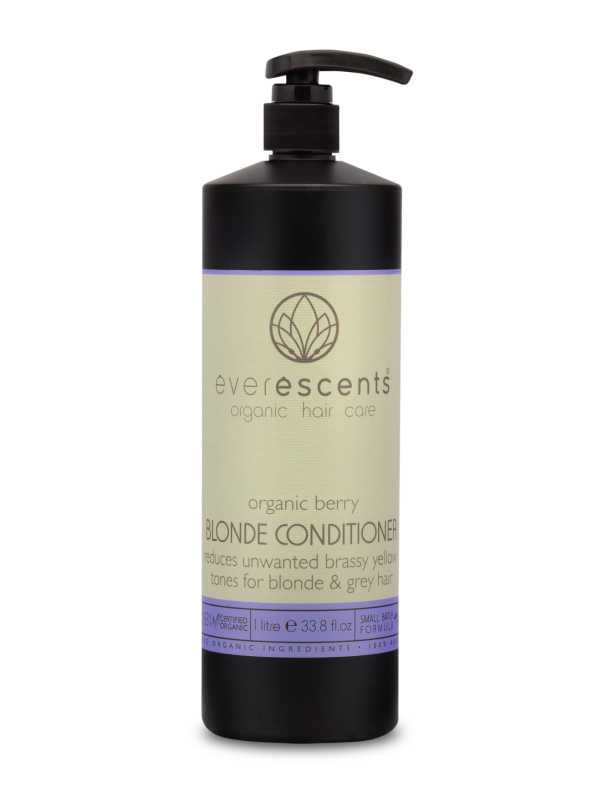 This luxurious Everescents Berry Blonde organic conditioner tones your hair and reduces unwanted brassy yellow tones for blonde & grey hair, with the added benefits of Certified Organic ingredients & the natural colours from Red Sweet Potato & Blue Gardenia. 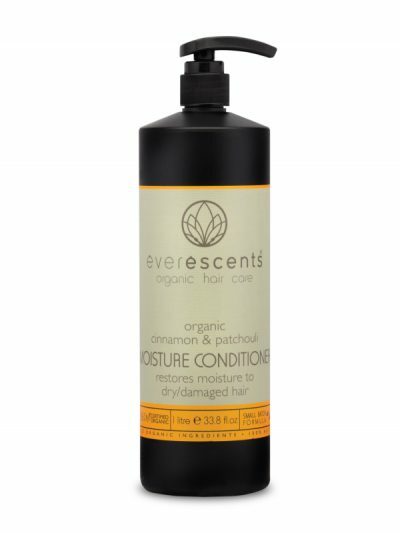 The Everescents Berry Blonde organic conditioner is fortified with Certified Organic Argan Oil, Vitamin E and Provitamin B5 which moisturise & add shine to your hair leaving it truly healthy. 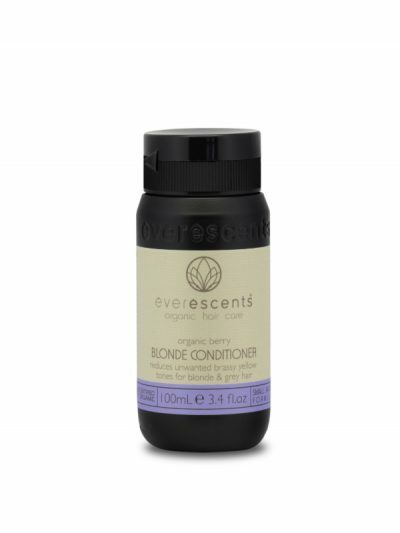 This is the safest & mildest formula available for the care of your blonde or grey hair.